GPK collector Ronnie Pasillas looks to be the first to come across a new Blister pack of Garbage Pail Kids American as Apple Pie packs in stores. 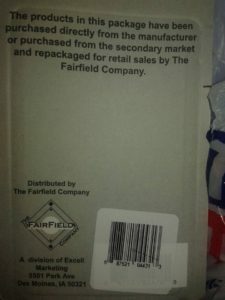 Packaged by the Fairfield Company, a division of Excell Marketing. 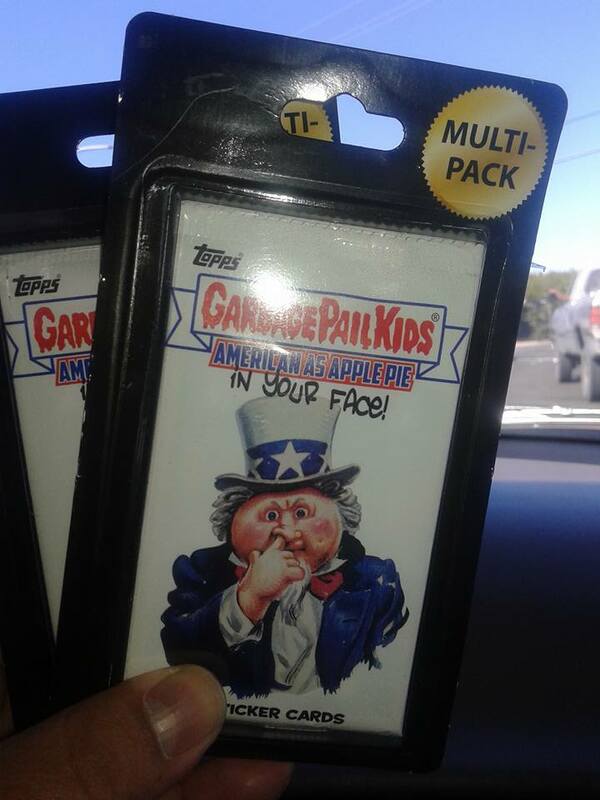 Inside each Blister is two retail packs of GPK AAAP. Ronnie found these at his local Rite Aid store for $4.99 each. A few weeks back collectors began to notice Excell had pulled AAAP packs from Target instead of letting them sit on the shelves as is usual. It would appear those packs are now showing up as part of these Blisters. Earlier this year Fairfield/Excell launched a very successful Trash Box consisting of previous released 2012-2014 packs of GPK. Thanks to Ronnie for the info! This entry was posted in 2016 GPK Pie, Retail and tagged 2016 GPK Pie, Retail by Jeff. Bookmark the permalink. Awesome updated info ..always on top of everything..gives us alot of details ..and answers alota questions…. I believe he is in Las Vegas. I think I’ve seen 4 maybe 5 guys find them so far, all at Rite Aid. They might be rolling out slowly, but I would think we will start seeing them more widespread soon. I just found two! but in one pack the top is AAAP and the bottom is a light green pack. not sure what is it because I have yet to open them.